The technique is extremely simple. 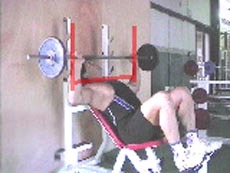 You have noticed that with the horizontal bench, you exercise the middle pectorals. 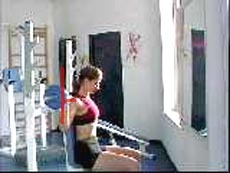 With the vertical bench, you work the lateral deltoids. 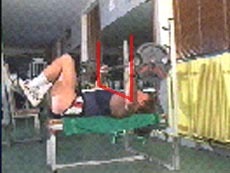 This shows that the muscular fibres stressed during the exercise are always those vertical with respect to the ceiling. 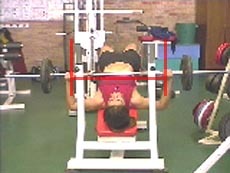 Simply position your bench to suit the part of the pectorals or the shoulders you want to exercise. 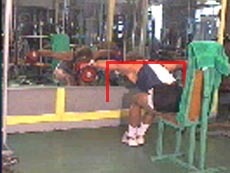 The same applies for the posterior dorsals / shoulders. NOTE: This principle only applies for exercises with barbells. If you use machines or pulleys, consider the cable alignment and, depending on the case, the resultant of the force.